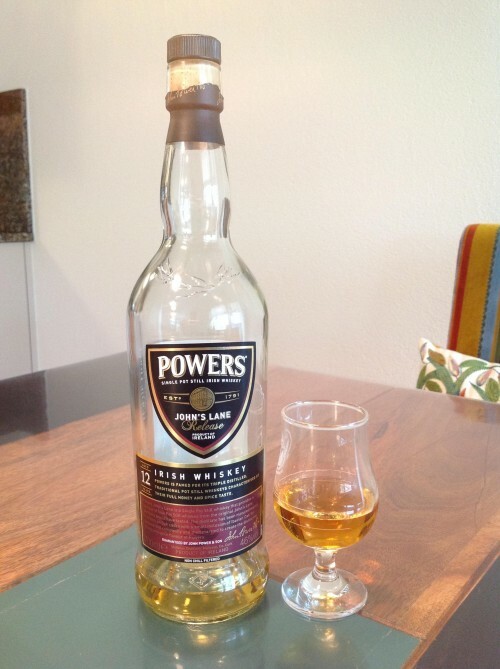 The Powers John's Lane 12-year old is named after the street in Dublin where the Powers distillery was located between 1822 and when it was closed in 1974. Nowadays, Powers is produced at the (new) Midleton distillery in County Cork. It is a 'Single Pot Still Irish Whiskey', meaning that it is made from a mash of malted and unmalted barley. It was triple distilled and then matured in a combination of ex-bourbon and ex-sherry casks. The nose is rich and sweet with distinct notes of caramel and fudge. Later on I got flavours of banana and orange peel, followed by mint and a hint of cinnamon. The palate is medium-bodied and just a little bit spicy. Vanilla flavours take centre stage, followed by notes of nougat, oranges (replacing the orange peel notes from the nose), and apricots. The finish is quite long and malty. Vanilla and cinnamon flavours last to the very end. From time to time I do enjoy some single pot still Irish whiskey, especially with the current hot summer weather. So far, Redbreast was my go-to-whiskey in this regard, however this Powers expression is very nice too. Not overly complex but very refreshing abd drinkable. I might have to revisit this one soon. Nice review, I really like the pot-still Irish style and need to explore more of this category beyond Redbreast, I am surprised this is at 46%abv, I am curious if we have this in Canada. How does it compare to Redbreast 12? I have a bottle of this I'd bought for the summer but opted to open other bottles instead. Your review confirms I made the wrong choice Hey ho, it will wait till next summer as it's bound to be as hot and dry as this one . . . Thanks, @cricklewood. I have not had the standard Redbreast 12yo in a while but my recollection is that the two taste quite similarly. After all, they are made at the same distillery... :-) However, I am going to have up a review of the Redbreast 12yo cask strength soon, and that one is a rather different animal. Got it, @RianC. I am sure you will have fun with this one! @Pierre_W, true I forget that most of the available pot still whisky is from Middleton. @cricklewood Do you think Canadian POT still whisky will take off after October 17? Is anyone able to weigh in on the difference between this one and the Redbreast 12 YO? Both are from the same distillery, pot still and use ex-Oloroso and ex-Bourbon casks. @Nozinan ha! It will be aged in heavily "toasted" casks. I second @Frost's question. With nearly all the single pot still whiskies coming from that single distillery, I can't keep track of what the differences among them are supposed to be. @Frost, @MadSingleMalt, I do not know details of differences in whiskey production techniques for Powers Johns Lane 12 yo compared to Redbreast 12 yo Cask Strength, but I do have observations about differences in flavour profiles. 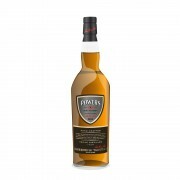 I consider Redbreat 12 Cask Strength to have mostly medium and high pitches of flavour, with little expressing in the bass range. Wood flavours are blended in and indistinct. Powers Johns Lane 12 presents mostly middle and bass range flavours, with few pitches in the high range. The wood flavours in the Powers Johns Lane are more noticeable and nuances of them are more observable. Also, Redbreast 12 Cask Strength has always presented to me as together and ready to go when the bottle is first opened, whereas Powers Johns Lane 12 yo often needs weeks to months of air time to show itself at its best. My sister has an open bottle of the Powers Johns Lane right now. When first opened I was very disappointed in it. Now I cannot get enough of it. The air exposure brought out an enormous richness.